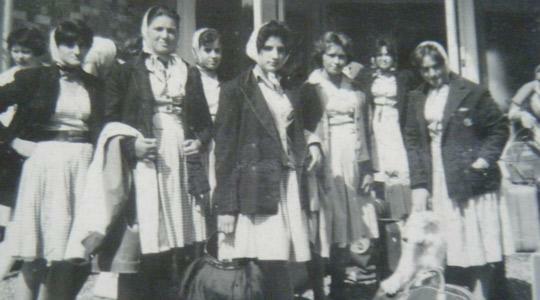 Image show students of the late 1950s and early 1960s. The Sisters of St Dorothy set foot in Malta 99 years ago. It was Mgr Alfredo Mifsud who had appealed for them to come here, and previously also his father, Dr Pasquale, who repeatedly corresponded with foundress, St Paula Frassinetti, in Rome, asking her to send the sisters to Malta. At the beginning of the centenary year, we look back with deep gratitude at the development of the congregation in this country and beyond. The first contact Paola Frassinetti had with Malta was through the family of Dr Pasquale and his wife, Fortunata née Pace, who had sent their four daughters to the Dorothean school at St Onofrio, in Rome. Unfortunately, in November 1877, one of the daughters was taken seriously ill, and the consultant advised an immediate return to her home. Dr Pasquale hastened to Rome and broke the news to his little daughter. Maria was distressed, since she was deeply attached to the Sisters of St Dorothy. Moved by the father’s anguish, St Paola sent two sisters to Malta to remain with Maria, until God called her to Him after barely a month had elapsed. A number of years later, when the sisters of St Dorothy in Portugal were exiled and dispersed because of the revolution, Malta was one of the countries to benefit. Three Dorothean sisters arrived in Malta in May 1911. Mgr Mifsud prepared Palazzo Mangion in Mdina for them, until they were able to transfer their convent to Casa Mifsud, which Mgr Mifsud bequeathed to the sisters after his death. Palazzo Santa Sofia in Mdina was also rented to provide the rooms required to run a school until a larger building in Bastions Street, adjacent to the cathedral, was restored and redecorated, to house the school’s increasing intake. Later on, Casa Giuritale was also leased and Palazzo Santa Sofia was returned to its owners. Besides running a boarding school and a day school, the nuns dedicated themselves to the apostolic work of St Dorothy in various parishes. This work was mainly with youth and a “free school” was run adjacent to their day school. 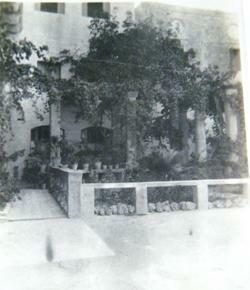 In 1958, a kindergarten was opened in the “Queen’s Hall”, in Old College Street, Sliema. At the beginning of each scholastic year a new intake was accepted, until a new and complete junior school was built in De Piro Street, Sliema. In 1968 a community was founded in London and it is still flourishing as a very popular international residence for students. In 1978, another community was inaugurated in Tal-Virtu’, since the government had ended the contract of Palazzo Giuritale which housed most of the junior school students. In October 1978, the junior school was transferred to Tal-Virtu’ Seminary, where they occupied the hall block, as it had been known when it had functioned as the female Teacher’s Training College. In 1979, another two convents were founded, one in Redhill, Surrey, England and the other in Taiwan. In 1997, the junior school moved from Tal-Virtù to Żebbuġ, where an entire complex was built in Mdina Road, to serve both as a primary and secondary school complex. The secondary school vacated Casa De Piro in Bastion Street and joined the junior school in their new premises in Żebbuġ in 1998. To date, the sisters residing in Casa Mifsud still continue their apostolic work with the children of Mdina, and day retreats and seminars are held in the same premises. Regular meetings and prayer groups are also held for the “Mamme di Paola”. In 2002, three Maltese sisters left the Malta Province to found a new community in the Philippines. Four years later, the two communities in Taiwan and in the Philippines branched out from the Malta province to form their own region. “Courage, abandon yourself totally into the hands of God, in Him alone put all your trust and hope… He will lead you, guide you, comfort you and sustain you…” (Cfr Letter 124,3). The author is the provincial of the Sisters of St Dorothy’s congregation in Malta and England and headmistress of St Dorothy’s senior school.